Şener: First of all, can you tell us about your field of interests and work motivation? Coşkun: I can say that I have interests in certain subjects which are similar to each other. I guess these come from my educational background. I have studied in Cinema Department, but the department was under The Communication Faculty and I had the opportunity to attain a journalism formation there. Photography was a medium that I was interested in for cinema; however, the fact that you can do it alone, this loneliness of the photography attracted me. And after I started to be interested in, I took it seriously and continued. Of course, journalism formation and photojournalism education give me the ability to wonder and look at things more critically. The book I had been working on for a long time actually involved little stories talking with each other, touching each other changed into a story which is shaped through me. It emerged through the topics which live in and happen on the dark side of İstanbul. There are almost four layers in the Blackout. These layers were related to the places where I lived, and to the different stories and topics that I have been involved in from time to time. Bringing them together, when I look back in time, was them telling a story through me. Ş: Your projects on your website are the layers you are talking about, right? C: Exactly. The subjects in Blackout were long-term projects. If we look back in time from this moment, we can see that a city which is disappearing very fast and the disappearing parts of that city are also in this book. These are things that happens in very short periods of time; there is a high-speed transformation and gentrification. This obviously reveals the importance of certain things. After realizing this value, I cannot approach it without worrying about it. I cannot say to myself "Just do it, then abandon and continue". I think one should give the time that the story deserves. Therefore, revealing processes of these layers before the publication of the book is surely important. But it is also a fact that there is no objectivity anymore, we are all subjective beings and we become a party in some way from our own standpoint. Or, in a way, we look at things from a perspective shaped with what we have learned, with our judgments, attitudes, and our convictions. That is where our story is. And it is natural that this is the case. The experience I get there is the essence of the story. Otherwise, we are not reinventing the wheel, these stories have been told hundreds of times, but the important thing here is people to discover themselves in the story. That was what I had discovered over time, and the book was shaped through it. The book was a process of coming together in a natural way. In a way that, the encounter of the subjects in my life, communication of these subjects with each other and sharing of them in a spatiality were all happened in an organic way. That's why there was a very long process involving what I brought together, but the appearance of the book as a solid form happened over two years. I also took part in the design with the designer. It was an informative and important process for me. Although it was very tiring because it took very long to finish. Sometimes your role starts when everyone says it's ok, that is your subjective, and obsessed self which contributes to the work. Ş: On the one hand two years is a long time, but on the other hand it is a short period of time to scan an archive of 17-18 years. C: You'll publish a book from that time period, and there will be 74 photographs in it. You are trying to tell an intense story and the selection process is really difficult. There is the idiom: "Kill Your Darlings". When I was making this book, a pretty intense "murder process" has been committed. But actually, this is a story that I have tried to explain in a certain harmony, with a unity in language, and in a non-linear way. Because life progress in a parallel way. From where we stand it seems linear to us, but when we look outside, there is another life alongside ours. While I was making this book, I have actually tried to capture a linearity that includes the stories I encountered and the parallel lives of all those projects I have produced up to that point; and this created the dramatic structure of the story. Photograph, after you take it and show an audience, can also be open to interpretation and allow its own stories and comments. This is very natural. This project is something like this, open-ended, not referring to anything directly, perhaps the story of a night in 18 years. It is very concentrated. Ş: Yes, it would not be possible to estimate how long it took to create the story in the photographs if there were no information about the process behind the book. C: Sure. There is only one thing that may seem like a reference in the book, a police car. I don't always like to give information in my photographs, although this is an attitude which is just the opposite of photojournalism, the opposite of "Five W's and One H". But sometimes asking a question is stronger than answering it. One can see the same story in the photojournalism too; a lot of things are possible with truth, lie, and manipulation. Therefore, I think the sincerity of the job is important. What you are trying to tell and how you are doing it. Ş: Sincerity is absolutely very important. Your works have the same sincerity because you have lived in Taksim and your life has been built on this fact. C: Yes, my life is in one street ahead. I live there, I reside there; one of my first stories was about street children and I was studying very close to Taksim. I was living my life there. I was sleeping at the ATMs with them. You make witnessing to pass through your own filter, and it adds originality to the story. You leave your fingerprints on it after it passes through. And this is the whole point. Ş: The fact that the photographs here are not exhibited and turned into a book is more attracting to me as a language of expression. Most probably if it was an exhibition, some photographs would be printed bigger to be more impressive which would cause things to go in a very different way. In the book, however, everything is very linear and follow each other, none of them walk directly under the spotlight and we see a story as a whole. When I looked at this work, this was a pro which attracted me. C: We have limits in all of our works. One thing can get easier while the other is getting more difficult. In traditional perspective, there are problems such as; photographs cannot be divided, the construction of the book and limits to use of some techniques in terms of cost. We collaborated with Frederic Lezmi and Okay Karadayılar. It was a very fruitful work, both of them are masters of their domain. It was very important for me that someone to be open to collaboration. I'm not the kind of person who can confide his work to another person's hands. So, I prefer to collaborate even though it means more difficulty and more time. In the long run, we had a happy ending. Like a traditional photobook, it was a nuisance to see photographs spreading two pages, but that was something I thought from the beginning. Because it can also expand to the outside of the book, does not limit itself within a frame. I also don't like the horizontal book format, it gives the sense of a photo album. So it was good to have it in vertical format, but most of my photographs were horizontal. We experienced a lot of problems in the photographs as the focus in the frames were mostly in the middle. 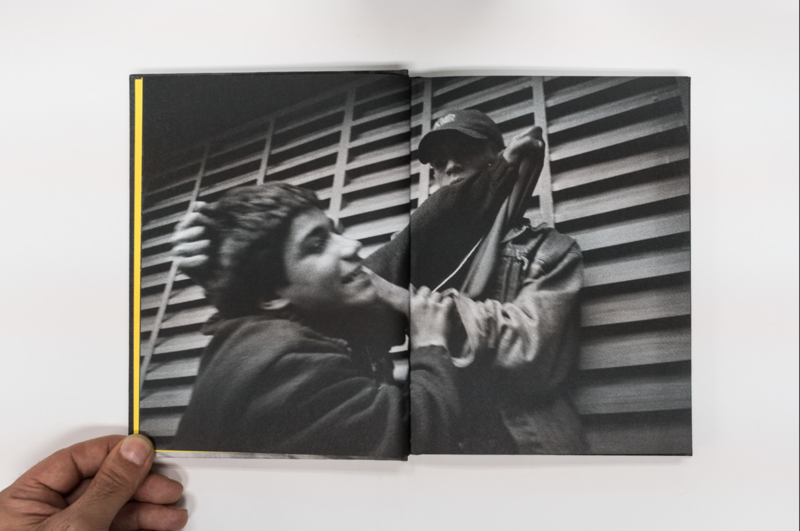 But this is a book and these divisions sometimes have the ability to show the picture as two different photographs. The book also formed its own language. At some points, there were irritating results but we took the risk of it. When you lose something, you win something else, we have always considered this. But we have reached a happy ending in a 95% ratio. The reactions were also very nice. It was shortlisted in the Self Publish category of PhotoEspana 2018 The Best Photography Book of the Year with ten different books. It is currently exhibited at Biblioteca Nacional de Espana 2. 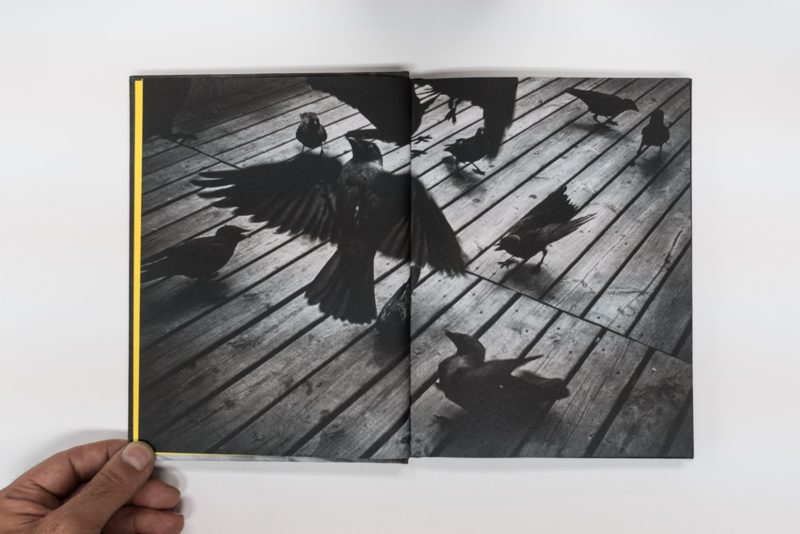 It won the Jury Special Award in The Angry Bat Photobook Award 2018 in Slovenia. When I came together with a lot of people from different social categories, I have realized certain commonalities and personal perspectives. The comments from people who know Turkey from there was like finding a new way at the point of no return. Because our lives are transforming and changing very fast. The handicaps of photography are growing day by day. Today, our lives have begun to be paranoid, and when I started photography, the camera was a sympathetic instrument, now it is an antipathetic device. That's why I feel lucky, I am not a person who takes pictures on the street and I produce my work by living in a place that I'm really curious about, growing up there, learning there. Photography is a learning method for me. It is a basic sense like touching or smelling. Because I continue with curiosity. The depth of the thing you tell, the intensity of the emotion, the originality in itself bring a different dimension than beauty. This is also the instructive part of working for a long time, being inside it, living inside it. At first, you need to be full. I feel in the same direction when you are filling a glass with water and it begins to pour out when the glass is full. This book is an overflow. From my point of view, I must say; the issue I work on must be interesting for me. This is something different than going to the street and taking pictures. What is attractive to us is something we don't know, we wonder, and even a little bit afraid of. The attractiveness of fear and something forbidden is a different thing. That breaking point is like advancing towards curiosity and fear. Ş: I guess because of the things that you have mentioned, this book or the stories you've created does not try to dictate, remark or emphasize what the society knows but ignores. It's just that these are present and you have built an archive through it. That's why the word "overflow" is nice. There is a residue which you have shared with people. But you are not saying "Look, they are here." by pouring out the glass of water. C: I have always wanted to keep a diary and after the photography, I thought I did accomplished it in a way. Maybe my interest in it came from there. I think I would write if I wasn't into taking photographs. If you are experiencing this much, if you are a witness, you have to record it somehow. Because memory forgets. Photography is very poignant. A contact sheet shows how you approach something, how is your mood, where you are, whom you are with, where you go, how much you are scared and how you are approaching. Ş: A nice recall mechanism. C: Every photograph is in a zip, and you can start from there and go look behind it because your memory creates a starting point. Ş: I am using Instagram this way. It doesn't matter if someone interacts with something I've shot and shared, but what I see when I go back affects me. The labeling provides me to see what I did three years ago. C: Think about it, the last picture you took is carrying the whole process of what you have done. This allows the memory to be stored in a very compressed form, you can solve it from there. These analyzes, as well as returning to realistic memories, may also cause others to solve something from their past. If it is compressed well, it allows different readings. Ş: Why did you name it "Blackout"? C: It has two different meanings. First of all, it is a passive form of defense by turning out the lights, it protects people from the enemy especially during the war times. 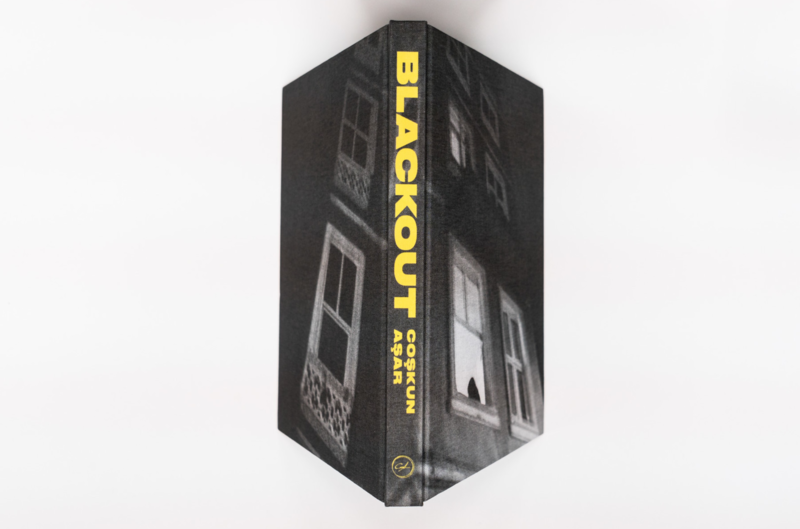 Blackout creates an isolation in this sense between the interior light and exterior darkness. The second is about passing out and having another dimension of consciousness. It is about failing to remember, and where you are at that moment. This is a part that is related to me. And this is my blackout in a sense. Blackout actually has a spatial place, but this is a part of a town, like a place in Calvino's Invisible Cities. There are residents. It is actually a global thing. The life inside does not appear from the outside. They don't want to be seen on one hand, but on the other hand, this desire to be invisible creates a freedom. For example, people who know my work closely can sort these layers individually. But for all those others who are out of this perspective and look at the book as a whole, the individual identities and the social communities to which insiders belong, do not matter. Because that is what life is like, we are the ones who sort people out. Sometimes we have to look at the whole story. Since I could look at my own works like this, I was able to catch a rhythm and I created this story not because of the identity of people in the pictures, but because of their relationships with each other as residents of that place. By the way, I've had unexpected stories, too. I first shared this book as 12 dummies. I made them with my own hands changing in size from a very small one to a big one, and by gluing each one differently. I made one of the first dummies while drinking coffee for nine hours and I've traveled with it for 3.5 months. It was a journey from Buenos Aires to Mexico, entirely different kind of places that I was used to be. And I have shared the book with people during that trip. People don't necessarily have to be related to photography. I have experienced people's reactions in a pure way. You leave a mark behind. When people looked at this book, read and saw it; I think it's really a important achievement that they get something personal from it. That is why I do not aim to reach sensational things that are appealing to mass audiences. Immediate reactions, the instantaneous rises in life do not attract me. I could do it, I could publish these things in the right place at the right time as a person who adopted the concept of journalism and has an education in this direction; if you publish something at the right time, in the right place and through the right way, if presented in a speculative way, you can get a very popular feedback. I prefer to not be interested in these things and turn a deaf ear to them. I cared too much about looking into life in a way that felt good. That is why I've had a schizophrenic life. Between survival and production. That is why our lives are getting harder. We can find different solutions to this in terms of production. I could have released a book 10-15 years ago, but I have no regrets. I may publish three books in my lifetime, but I should be at peace with all of them. I should have no regrets. Ş: As I understand, you already separate what provides your livelihood and what you produce. It makes an advantage because the art markets are definitely not functioning properly. C: It doesn't matter. Whether you notice it or not, whether you volunteer for this or not; you recognise what's out there with the purpose of being sold. I decided not to work with a gallery with this purpose, I didn't have a gallery earlier on anyway. I am living a minimal life, I don't have much, but I don't need much. I have almost everything I need. Of course, there might be deficiencies, but if you have learned to live with less, you have peace of mind. If your production is slow but satisfies you, I think there is no problem. I made this book by taking out a loan, by myself. Somehow I published it. You can do it too. There have been a lot of different publishers who wanted to sponsor this book. But I skipped a lot of things. But think about it, you are making a 20-years worth of work, and you make a move which enables you to dominate the whole process with a small amount of production cost. I was opposed to putting even a tiny logo on the back of the book and I didn't allow it. Because there is such a great effort in that book which they cannot pay off. This book would redeem its cost after a while one way or another, and it is out of the question that it whether it would make a profit, you can't make a profit with a photobook, but what's important is to leave a good book behind. I didn't want to put a logo on the back, even if there is no interference at all. There could have been a publisher, I had some options about publishers, but in the case of an artist's first book, they are looking at it commercially, too. They care about whether if the book is going to sell or not. If you are working with a great publisher which promotes well, you can take that risk. But I didn't want to give someone all the rights of the book, take a few books, give the production costs from my pocket and put myself in a fix. I am really happy with what I have done right now. As I said before, it doesn't matter how I earn my livelihood, but I want neither an interference nor a financial support from anybody. I want to be the sole master of my work. 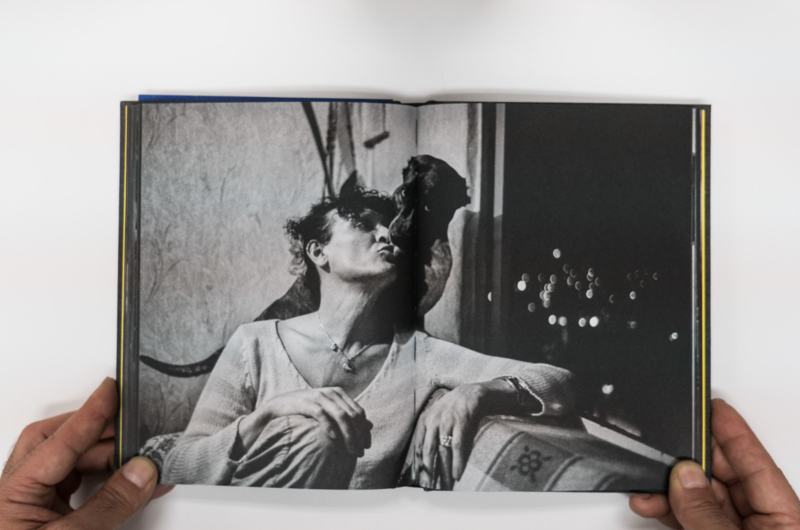 Ş: You lived in Taksim for a long time and the projects that created this book emerged. Now you have moved from Taksim to Beykoz and you also travel much more. Is there anything in your mind about the next production practice? About book or material? I also wonder if that is transforming or not. C: Of course. Along with the paths you've walked through, these are transforming too. I have always traveled in certain periods of my life, on some trips I only took notes, sometimes I just experienced it. When you are behind the camera for the first time you go to a place, you may be interested in the first impressions, but I didn't always like the idea of transforming this first impressions into photographs. Firstly I should bond with that life and get experience and practice there. You can sometimes miss the experience of witnessing when you focus too much on the camera. Sometimes, I can't take photographs, I need to get into it. When you see a place for the first time, you take notes, but these are just like touching. You should go there several times. You should find a side that is attractive to you. For instance, if I have a travel plan, in that trip, through commonalities, through emotions and by eliminating space; I concentrate on the things that can be displayed as a single place or combine them in an emotion, even if they are shot in different places. Things you can take everywhere. I am having these kinds of transformations. Ş: You will be on the road, but again, timeless and spaceless.